Hello Guppy has been designed keeping in mind the most exciting aspects of Japanese pop culture. Hello Guppy, an all-day Japanese café and bar by the Olive Group opens its door at BKC. Hello Guppy offers a range of delicious Japanese food in an easy-to-eat format, within an approachable and a friendly space. The menu includes flavourful soup, healthy salads, fresh sushi, noodle dishes, donburi (Japanese rice bowls), ramen noodles and burgers, small plates, desserts and much more. 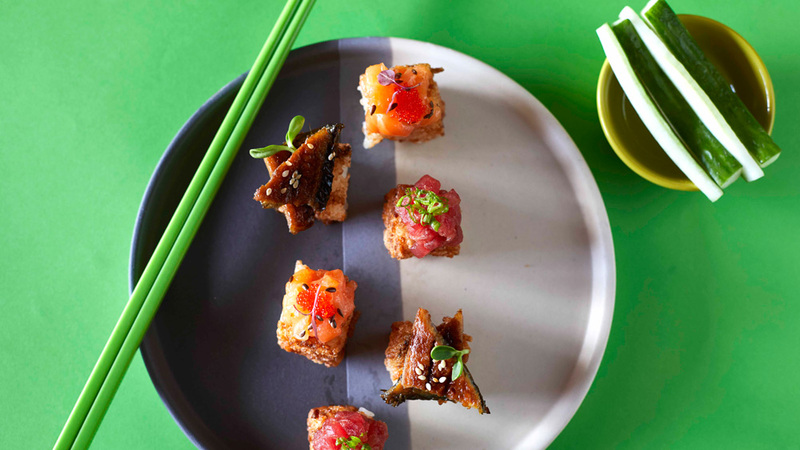 Firmly of the belief that Japanese food can be appealing to everyone, given its familiar Asian flavours, award-winning Executive Chef Vikram Khatri has created a menu that is exciting as well as comforting, complete with a wide selection of vegetarian dishes. His style embodies the four essential elements of cooking: harmony, technique, freshness and hygiene. “Hello Guppy is a fun, new concept with well-priced food, presented simply yet attractively. The restaurant offers diners a comfortable, laid-back yet buzzy spot which will hopefully make them return again and again,” says AD Singh, Managing Director of The Olive Group. The group has focused on freshest ingredients and seasonal produce results in a menu that is wholesome, nourishing, healthy and delicious. Additionally, most dishes, from the mains to the condiments, are made from scratch here. Hello Guppy offers diners more than just seafood. A selection of meat dishes is found through the menu, as well as numerous vegetarian options. Hello Guppy has been designed keeping in mind the most exciting aspects of Japanese pop culture, as well as by drawing deeply on the very essence of this magical country. Every corner of the compact space has thoughtful décor elements, inspired by both the crazy, buzzy, sensory overload that is young Japan, as well as the art and literature, centuries’-old history, and overwhelmingly beautiful traditions of the Land of the Rising Sun. Once the sun sets, Hello Guppy undergoes a transformation, with neon lighting, foot-tapping music, and an emphasis on innovative cocktails. Hello Guppy’s bar menu offers ‘performance cocktails’ (currently a global trend) – those that are full of flair and surprise elements. The restaurant aims to tap into the fun, easy-going personality that lives within each of us.